Real heroes don't wear capes. In fact, sometimes all they have on is a collar. 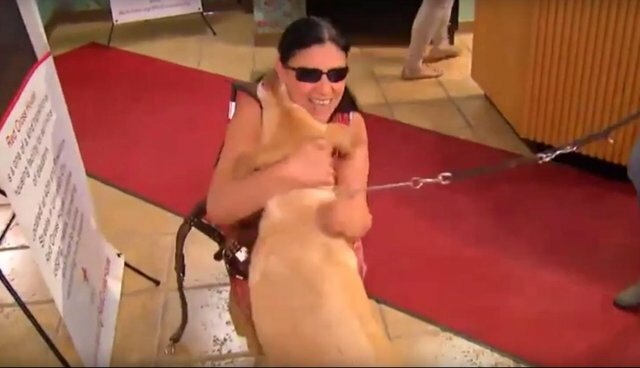 Late last week, when a fire broke out at Maria Colon's home in Philadelphia, her service dog Yolanda went above and beyond what some people might think a canine like her is capable of, all to save the life of the human she loves most. 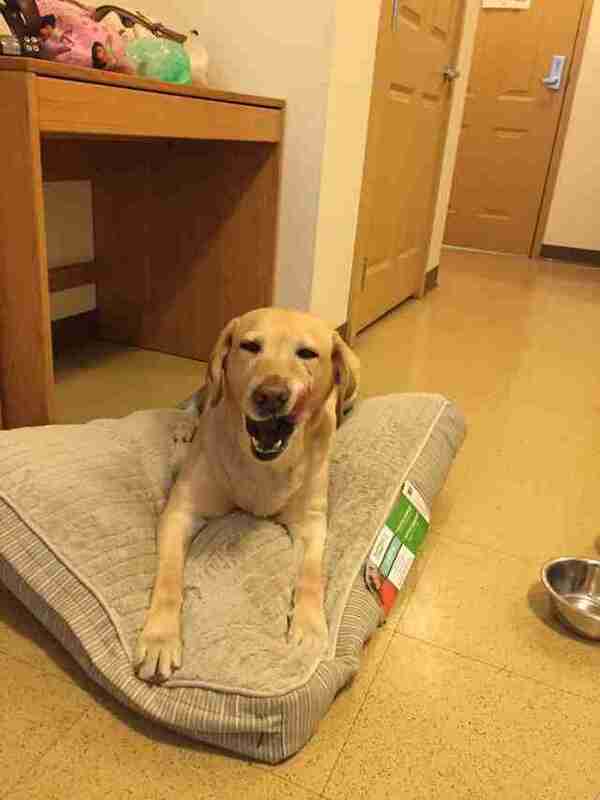 Colon, who is visually impaired, was fast asleep Wednesday evening when she woke up to the smell of smoke. With little time to react before possibly succumbing to the choking gas, Colon called out to her trusty dog to get help for them both, yelling "danger" - a word Yolanda is trained to respond to just in case of situations like this, reports NBC 10. And sure enough, Yolanda leapt into action. Amazingly, she was able to press the emergency call button on the telephone, connecting 911 operators. "I hear the phone - tke, tke, tke. And she's growling. And I said, 'Oh my lord, she called the police,'" Colon told the news station. But Yolanda's quick thinking didn't end there. After alerting authorities, she then helped lead Colon out of the burning building to safety. Thanks to the excellent training Yolanda received, both she and Colon were able to escape what might have been a deadly disaster. Both needed to be treated for smoke inhalation, but were reunited the following day. This is far from the first time a pet has come to the rescue. Here are nine more impressive animal heroes who saved the lives of their humans.